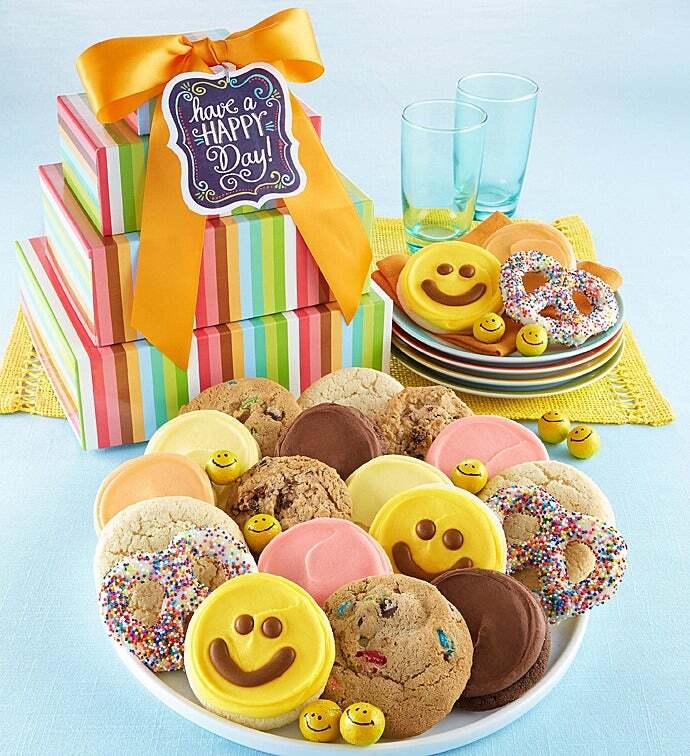 It just became a happy day when your friends, family or coworkers receive this cheerful gift tower. 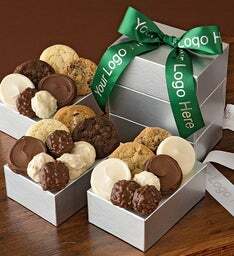 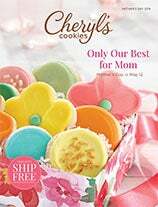 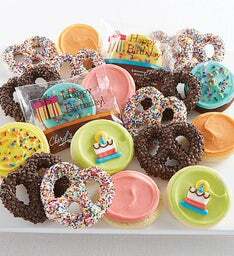 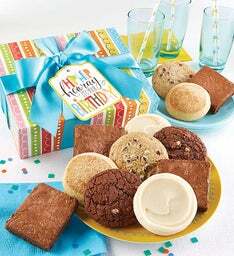 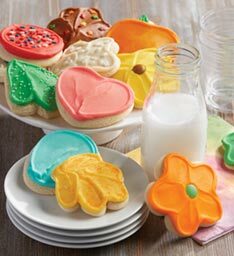 We included a popular individually wrapped assortment of gourmet cookies and our buttercream frosted Happy Face cookies, sweet and salty gourmet drizzled pretzels and foil wrapped milk chocolates. 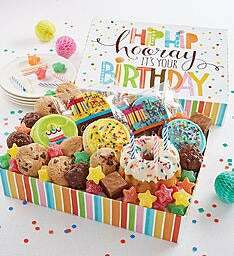 27 pieces.